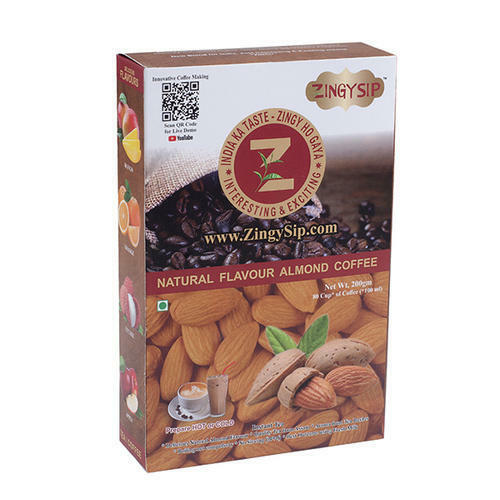 Leading Manufacturer of zingysip instant almond coffee - 200 gm. 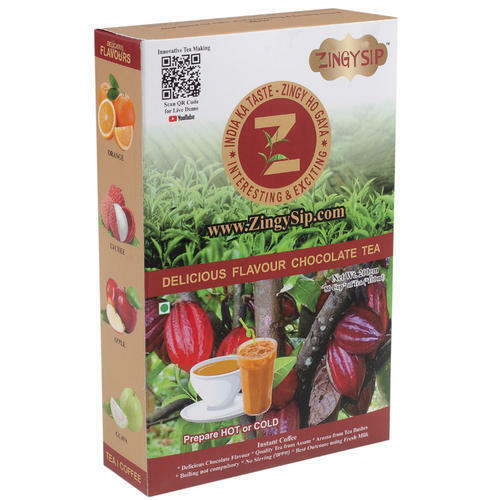 pack, zingysip instant chocolate tea and zingysip instant vanilla tea - 200 gm. from New Delhi. 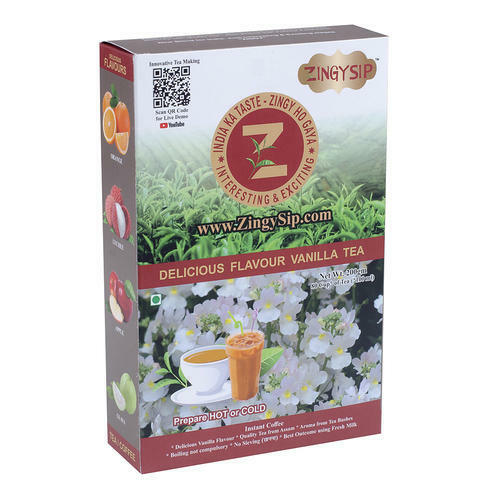 ZINGYSIP brings exquisite delicious Natural flavours blended perfectly with quality Coffee - rich Aroma with Flavour Freshness. We have Innovated and developed Natural Exciting and interesting Flavours using Natural Dry Fruits like Almond Coffee. We bring Quality Coffee Powder , Coffee Aroma , Natural Almonds Crushed and powdered Inhouse. Packaging Details: Zingysip Innovative Instant Natural Coffee is packed in Zip Foil having a FoodGrade Silica Gel Pouch inside . This Pouch is then packed in Zingysip attractive & informative Box . We have Innovated and developed Natural Exciting and interesting Flavours using Chocolate for Younsters . We bring Quality Tea from Assam , Aroma from Tea Bushes blended with Fresh Flavour of Natural Chocolate. Fresh Fruit / Flower Flavours & Aroma blended Inhouse to create flavour and taste as Rich , Fresh ,Fragrant , Aromatic to create a sensational and exciting Chocolate taste. Dimension 8 x5 x 1.5 Gm. We have Innovated and developed Natural Exciting and interesting Flavours using Natural Flower Extracts like Vanilla Tea. We bring Quality Tea from Assam , Aroma from Tea Bushes blended with Fresh Flavour of Natural Vanilla.